Many different shortcuts exist for cooks in the pantry. 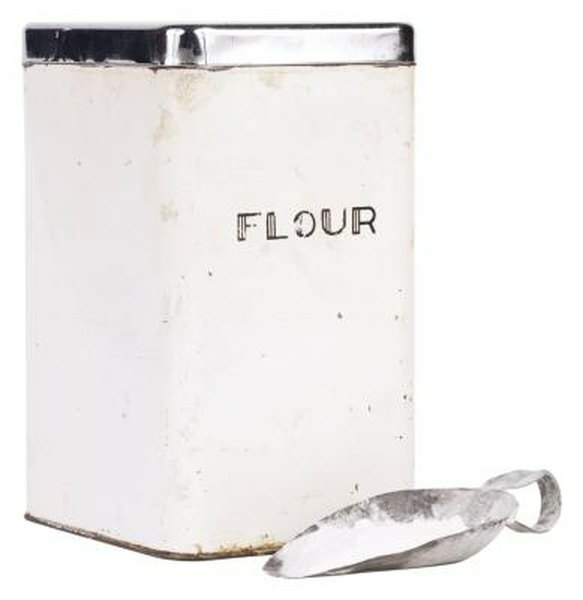 Self-rising flour is one of these shortcuts that has flour, salt and baking soda. If you have a recipe that calls for all-purpose flour and also calls for salt and baking soda, you can substitute the self-rising flour for all-purpose flour in many cases. However, in some cases, your final product might rise and then fall if you have too much baking soda because of the self-rising flour. In recipes where you don't add enough baking soda in the conversion, the dish might not rise enough. Determine the conversion ratios. One cup of self-rising flour is the same as 1 cup of all-purpose flour, 1/8 tsp. of salt and 1 1/4 tsp. of baking soda. Look at what the recipe calls for. Assume you are baking a cake calling for 2 cups of all-purpose flour with 2 tsp. of baking soda and 1 tsp. of salt. Calculate how much salt you need to add. The 2 cups of self-rising flour have approximately 1/4 tsp. of salt. You will only need to add 3/4 tsp. to your recipe now. Calculate how much baking soda you need to add. Two cups of self-rising flour contain approximately 2 1/2 tsp. of baking soda. You have more baking soda than you need. This means that the baked product might rise too high; you can't sift out the baking soda, so you will have to accept this as part of the substitution result. Self-rising flour is used for cakes and cookies, reducing the need for other ingredients; however, the ratios don't always work perfectly for recipes.